Do both my spouse and I have to be Nevada resident to file a divorce in Nevada? No. Only one of the parties must have resided in Nevada for a minimum of six-weeks before filing a divorce. If you are filing for an annulment and you obtained your marriage in Nevada then you need not be a Nevada resident. The Court has jurisdiction to set aside the marriage. However, if you want to annul a marriage from another state residency is required. How do I prove I’m a resident? The main proof comes in the form of an Affidavit of Resident Witness. The individual who signs this sworn Affidavit in front of a notary must be another Nevada resident who knows you to have lived in Nevada for a minimum of six weeks before the date your divorce is filed. This can be a friend, relative, co-worker, landlord, employer or employee, just anyone else at all who is a Nevada resident and is willing to sign this affidavit. If you are moving to Nevada and plan to get divorced here then be social and get to know a friend, co-worker or neighbor. Surprisingly people who have lived here for a year sometimes have difficulty finding a resident witness because they have not bothered to get to know someone on a regular basis, i.e., who has seen them physically present in Nevada each week for 6 weeks. Remember, if children are involved the Court requires that they reside in Nevada for 6 months before the Court will exercise jurisdiction over custody and visitation of the children. We create the affidavit, notarize, and file the resident witness affidavit as a part of our Nevada divorce service to you. Do I have to change my driver’s license to Nevada before I sign my divorce documents? The Department of Motor Vehicles (DMV) does require that incoming residents trade in their out-of-state driver’s license for a Nevada driver’s license before the first 30-day period of residency has expired. However, we are working for you and not for DMV so if you provide us with sufficient identification and evidence that you actually now reside in Nevada we will notarize you signature reminding you that you are under oath. That said, the Court generally does not ask to see your driver’s license unless you must make a court appearance in your divorce. If you cannot obtain a driver’s license DMV issues a state identification card which will be sufficient. A passport alone with an out of state address will not be sufficient to prove that you are a Nevada resident. car registration, if you own a vehicle. Can I just move to Nevada, get my divorce, and leave? Your divorce documents will state that, at the time you sign your divorce documents you have the intent to remain in Nevada after your divorce. Your Affidavit will state that it is still your intent to remain in Nevada for an indefinite period of time. The court has nothing to say on the fact that you might change your mind afterwards. However, this does not mean that you can come to Nevada, spend 6 weeks here, sign your divorce papers and leave town. You would be advised to remain in Nevada until your uncontested divorce is finished up. If you already have filed a case in another state and it is still pending, and, maybe that case is moving too slow for you, you cannot come to Nevada to live here 6 weeks and file here as that is called forum shopping and is not allowed. The case in the other state would have to be closed or dismissed for you to file a new case in Nevada. I’m getting divorced because of an Immigration issue. Can I just move to Nevada, get a divorce, and leave? There have been many instances in the recent past where Immigration officer have questioned the validity of Nevada divorces obtained to benefit parties in an Immigration case. Our office had a case where there was a paralegal company in New York City advertising Nevada Divorces and gave out inaccurate information on residence. Although the divorce took place in Nevada when an immigration application for a visa was attempted the immigration officer wanted much more evidence than just a cousin’s affidavit that he had seen the client in Nevada for 6 weeks. If immigration suspects fraud by a non-citizen they can abort the immigration application and deport a person or not allow them reentry in to the country. What constitutes a legal residence? The term, legal residence, applies to the place a person spends most of his time and is the home that is recognized by law. Residency as a legal term has different meanings in different contexts in the law. Also different jurisdictions define residency in different ways because of different laws. Some people consider themselves to have two residencies, especially when they have a second home. A deployed member of the military may be a permanent resident of Nevada even if he or she has been in Iraq for the past two years. Bankruptcy may require that you live in Nevada 6 months before you file whereas you only have to live in Nevada 6 weeks to file for divorce. California may require that you live there 6 months before you file for divorce instead of Nevada’s 6 weeks. So context is everything where it comes to residency. Question: My daughter go married in Las Vegas 10 years ago. Immediately after marriage, they went overseas where her husband worked for the Dept. of Defense as a contractor. They are currently in Greece and want to divorce. Can she make an exception to the 6-week residency requirement since they have been residing overseas continuously since the marriage? Hello Mark, unfortunately, no. One of them will have to establish residency here before they file. If her spouse were a Nevada resident and had ties here and if they files their taxes through Nevada the whole time, the court here might be inclined to entertain giving them a divorce here, but we’d need more info to determine that. I am a resident of PA and filed for divorce June 2017. The process has stagnated. She is doing everything possible to slow it down. 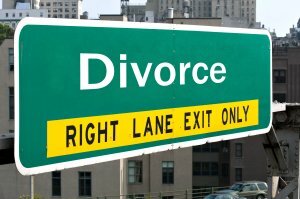 Can I move to NV, establish residency and obtain a divorce? Hi Jerry, that is not really a good idea, unless you have a very legitimate reason for moving here. For instance, if your employer relocates you, or you have close family here and you need them to help you with your children if you have any, etc. In the case of children, this court wouldn’t rule on them until they have resided in Nevada for a minimum of six weeks. If your spouse agrees to a joint petition divorce, however, and your move to Nevada is legitimate (e.g. not just to avoid some sort of divorce penalty outside Nevada) you can obtain a divorce here relatively easier than in some other states. I am actually a Canadian resident who got married in Las Vegas 10 years ago. I would like to divorce now. How would I be able to accomplish that as I am not a US citizen and have no residency in Nevada? Hi Gerry, this is a sticky situation. If you are not a true Nevada resident, the court will not grant your divorce. That said, if you were married in Nevada, you are eligible to file an annulment in Nevada without being a resident, and you don’t need to come here at all to have it granted. Visit our annulment website, https://nevadaannulment.org for details or call our office at 702-420-7052. We are non US citizens Holding Indian passport. We got married in Las Vegas during our holiday trip . Things did not work out between us as have decided to part ways . We have registered married license from the Clark County office . Looking forward for your advise . you would not be able to have a divorce granted since you are not resident. However, since you were married in Nevada, you are eligible to file an annulment in Nevada without becoming a resident. You can read details on this on our annulment website, https://nevadaannulment.org or call our office at 702-420-7052. I am a resident of Nevada I have been a resident for 29 years. I filed for my divorce and I was denied because my affidavit for resident witness form for dated and notarized the day before my file date, do I have to wait a certain amount of time before filing that form?